Milestones in life tend to be linked with their corresponding dates. 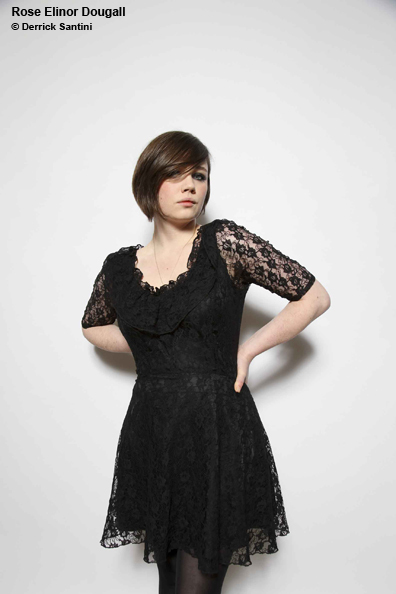 For Rose Elinor Dougall, July 17, 2006 saw the release of her band The Pipettes’ unforgettable debut. At just 20 years old, Dougall cradled an indie-pop treasure in her hands. We Are the Pipettes recalled singles-oriented ’60s girl groups with stunning grace. Less than two years later, on May 14, 2008, a MySpace blog heralded the conclusion of the singer/keyboardist’s short-lived tenure with the polka-dotted Brighton, England trio. As soon as May 18th, Dougall set her timer back to zero and began to stream a wave of her own compositions—hazy, introspective, late-night pop tunes such as “Start/Stop/ Synchro,” “Hanging Around,” “Find Me Out,” “May Holiday,” and inaugural single, “Another Version of Pop Song” —through her MySpace page. For Dougall’s imminent solo release, the pop singer asserts that fans will be welcomed by a mature debut with all the trappings of a songwriter breaking out of her chrysalis. “This record’s far more personal, and just that will make it completely separate from The Pipettes. I suppose the first single [“Another Version of Pop Song”] is almost like a bridge from my past that leads into my future. It’s one of the more upbeat numbers I’ve written,” she says. The as-yet-untitled album is being recorded in a piecemeal fashion at Baker’s studio in Brighton. Various overdubs and separate recordings with Dougall’s touring band—younger brother Tom Dougall (guitarist for Joe Lean and the Jing Jang Jong), Ralegh Long (guitars, mandolin), Alex Craig (drums), and Georgia Lee (bass/backing vocals). The recording will ideally be wrapped by the end of the winter. Dulcimers, harps, Omnichords, and drum machines will be in the final mix, and “Phil Sumner from British Sea Power is playing cornet and I’m bringing in some string players,” Dougall adds.